Dan Moren wonders if the company should take a more holistic approach to teaching technology. An Apple event is right around the corner, but in a twist from my predictions of two weeks ago, the company’s already announced that the theme of this upcoming shindig is education. To reinforce that, the event is being held at a high school in Chicago. Obviously, that rejiggers some of my expectations for what Apple might talk about. There’s still plenty of speculation about devices and software updates that the company might announce next week, but I think one thing missing from much of that analysis is Apple’s actual plans for education. And by “education,” I don’t just mean “the education market.” Apple has a long history with technology education, and I wouldn’t be surprised to see the company push even further into that realm. Unlike most (if not all) of its competitors, Apple takes a far more holistic approach to the use of its devices and software. I’d be hard-pressed to name another company that offers such thorough training on how to get the most out of its products. 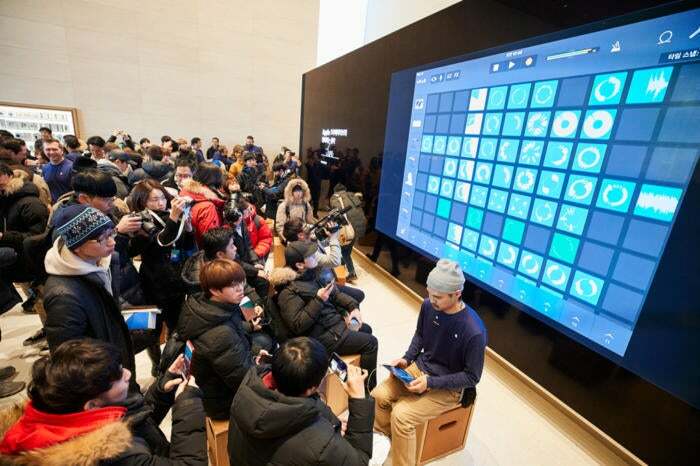 For well over a decade, Apple Stores have not only offered training on the basic use of the company’s hardware and software, but have also designed workshops aimed at creative pursuits like photography and film and audio editing. 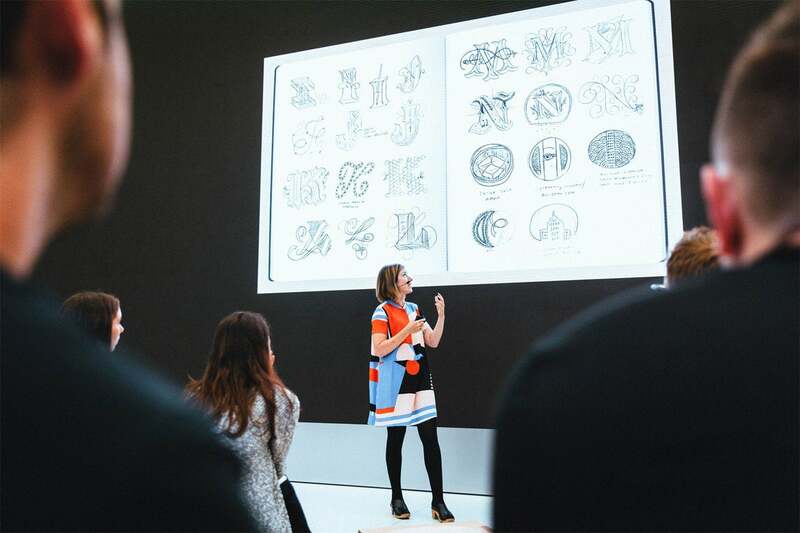 Lettering artist Jessica Hische led a session that was part of Apple's Today at Apple program at the Apple store. The most recent incarnation of that training program, the Today at Apple initiative, launched last year, offering dozens of workshops on a variety of subjects, and accommodating not only people of all ages, but also people of all skill levels. And while that certainly benefits Apple in the long run, not least by making people more comfortable and attached to the company’s products, it also feels in line with the image and brand that Apple has always put forth about technology empowering people. Of its main rivals, only Microsoft seems to offer anything similar, and its events and training are far more limited, especially in the creative arena. Hardly surprising, given that it’s not historically been a brand especially associated with creative endeavours. Which isn’t to say that Apple doesn’t have training in other areas as well. 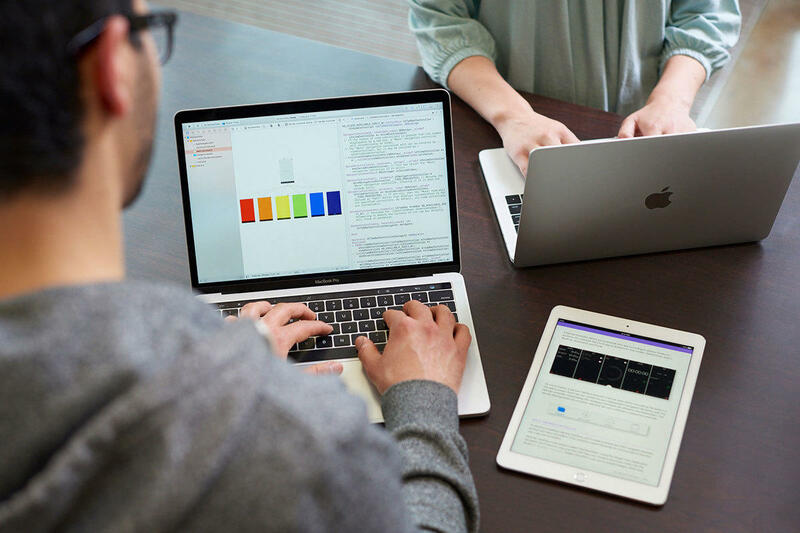 With Apple’s launch of the Swift programming language back in 2014, the company added another prong to its education initiatives. For obvious reasons, Apple has a vested interest in getting people to invest in Swift: It continues to feed the company’s platforms, and it helps shape the direction of programming in the years to come. And Apple has been smart about aiming Swift at a younger audience as well, launching the Swift Playgrounds app in 2016. The iPad app helps teach programming fundamentals to kids, as well as laying out the basics of Apple’s language, all in an engaging, fun package. But education is baked even deeper into the foundations of Swift, which Apple describes as “a coding language for everyone,” thanks to the real-time way in which you can see the results of the code you write. Providing that direct feedback makes Swift an appealing way to learn about programming. Anyone interested in learning the Swift programming language can take a class at an Apple store. Apple’s built on top of this self-education effort by linking it to the aforementioned Today at Apple program. Coding workshops are regularly held at Apple Stores—with some specifically aimed at kids—including Hour of Code programs held every year. All of this is designed to encourage programming education, especially for younger audiences. So having already built this up, where can Apple go next with its education efforts? While the company already has a strong presence in many classrooms, with its Apple Distinguished Educators program and an “Everyone Can Code” curriculum for teaching Swift to students, it’s also been feeling increased pressure from competitors in schools, due to low-cost education-focused devices from Google and Microsoft. But there are elements missing from that program, especially as technology has become an even more intrinsic part of our everyday society. On a recent episode of the Clockwise podcast I host, developer Shahid Kamal Ahmad suggested Apple might be well placed to include elements in its education drive that focus on other aspects of technology in our lives: how to comport ourselves online, for example. The company’s already taken a leading stance on privacy, and in the wake of recent news about Facebook, perhaps there’s a place for more broad educational efforts about, for example, what data we should share, or how to be better social media citizens. Apple could use its resources to provide a broader education about technology issues such as privacy, online behavior, and more. There’s some precedent for this sort of thing. When I was in college, I was an instructor in an annual orientation workshop for incoming freshmen about just these types of issues, covering issues like hate speech, harassment, privacy, password security, and so on. This was almost 20 years ago, and technology has changed a ton in that time. Yet it often seems as though we’re not grounding young people in these basic technology skills. A curriculum that includes these often ignored areas alongside skills like programming is something that’s badly needed, especially given the current climate online. And as a company that often promotes the idea of all the things technology empowers us to do, Apple might be uniquely and ideally positioned to help provide it.